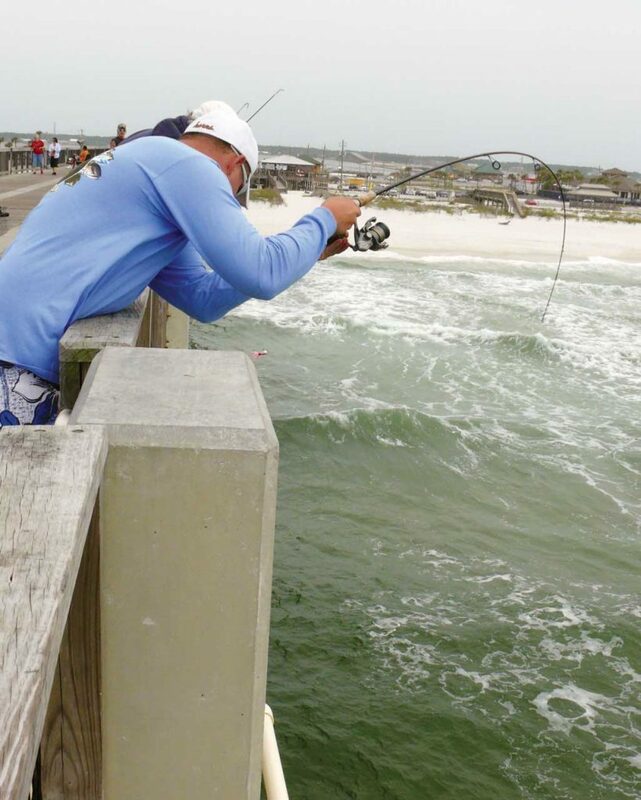 Silver bolts of lightning found swimming around Alabama beaches are a favorite target of anglers. I really didn’t want to work too hard on this warm summer morning. I just wanted to sit back on the beach, listen to the gentle surf whisper up on the beach, and let my mind run for a while out of gear. Of course, I brought along to the beach a medium-action spinning rig with me. I never go anywhere without fishing gear. I hooked up a semi-alive shrimp and tossed it perhaps 30 yards out past the surf. Then I sat down under my beach umbrella, stretched out, and closed my eyes. This inactive, restful morning at the beach was just what I thought I needed after a rough five days at work. I didn’t really care if I caught anything or not. At that moment, my plans were changed. 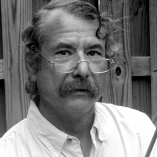 My rod, propped over a knee and held loosely in one hand, was nearly jerked away from me. I jumped up, set the hook, and held on while something strong and fast pulled line off the reel toward the Gulf. After a bit of a battle, I began working the fish back to me. When it got close enough for me to see it in the clear water, there was no doubt what I had. Silver sides, a blunt and rounded nose, scythe-like tail beating very fast in the water—I had a pompano! Now, some of our Alabama Gulf game fish are good to eat. Some are world-famous fighters. But the pompano of Alabama’s coastline has it all. They fight super-hard. And when brought to hand, they are just about the best-eating fish anywhere. I worked my hooked pompano through the gentle surf and when it reached the sand, I grabbed it by the tail and deposited the fish in my cooler. My restful morning on the beach was over. When pomps are biting, it’s downright invigorating. I didn’t mind working a bit to catch some great fish. So, another shrimp went out on a hook, and another fine pompano bit and was caught. After a quick hour’s worth of fishing, I had the main course for a great seafood dinner for the family. Funny thing; I felt relaxed, rested, and the previous week’s craziness at work had all disappeared from my mind. Catching pompano will have that effect on folks, I’ve found. A great thing about pompano fishing on the Alabama coast is that the places to find them are unlimited. At any particular time of the year, and at any particular spot on the beach, pompano might show up. 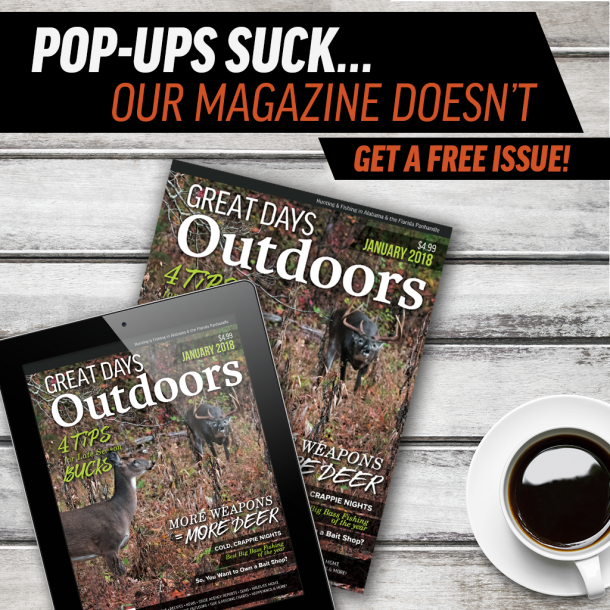 Of course, some times are better than others, and anglers who like to beach fish can often find optimum places where pomps seem to congregate more than others. Pomp anglers will do well to avoid fishing in places where a lot of people are swimming. Pomps don’t like a lot of human disturbance in the water, and they’ll relocate if a bunch of noisy swimmers are splashing and thrashing in the surf. Boat anglers are not left out, either. In fact, fishing along the second bar drop-off which runs a hundred yards or so off the beaches all along the Alabama coast might be the most reliable way to find and catch pompano. Pier fishing is a very reliable way to see and catch pomps. From the high deck of the Gulf State Park Pier, anglers can see a long way in the clear water, and pomps can be seen working the surf breaks and the roughs very clearly. A cast from the pier and the pomps will usually be on their way to an ice chest. Pompano are often directly under the pier near the pilings. Some of the best pomps I’ve ever caught have come very close to pier and dock pilings. Pier anglers looking for a mess of tasty pompanos should spend at least a little time lowering a live shrimp or sandflea very close to the pier pilings. Successful pompano fishing depends on using the right bait. Pomps are crustacean eaters. This includes shrimp, sand fleas and even small fiddler crabs. Live bait probably works best, day in and day out, but tons of pomps are caught on artificial lures, too. A traditional pompano live bait rig usually consists of a fairly heavy pyramid sinker—two- to three-ounce are common—on the end of the line with a two-hook rig with beads and floats up from the sinker. The pyramid sinker digs into the sandy bottom and holds better than a round egg sinker which tends to roll in the strong water movement of the surf. Live shrimp are good bait for pomps, and even fresh dead shrimp will work. However, the best bait for pompano is the food they eat all of the time. Sandfleas are funny-looking little crabs that live right in the sand where the surf breaks. They bury themselves in the sand and strain their food from the water as the surf pulls back after a wave breaks. Anglers can use a “sandflea rake” sold in most bait and tackle shops on the coast, or a simple dip net will work for a while, too. In fact, if a couple of kids are along on the trip, they can be easily trained to find and catch sandfleas. Most kids seem to have a blast catching sandfleas for Dad or Mom to use for fishing. An important piece of equipment for beach anglers looking for pompano is a rod holder. This can be as simple as a five- or six-foot-long piece of PVC pipe that is pushed into the sand far enough to hold firm. After the bait is cast out, the rod is placed in the holder, the line is pulled taut, and the angler can observe the world around while still fishing. The rod holder puts the rod up high so pompano strikes are easy to see, and it also keeps the reel out of the sand. Beach anglers should never just put a rod and reel down on the sand. Beach sand is fine-grained, and it will get into a reel. That’s very hard on the inside mechanism of a reel. Put the rod in a holder, or just hold it by hand. The traditional and most effect artificial lure for pompano is, oddly enough, named “pompano jigs.” This fairly heavy jig is usually white or beige in color, and it almost always has a brightly-colored tail in orange, red or pink colors. These 1-oz jigs allow long-distance casting from the beach,which means a pomp angler can cover a lot of water with each cast. When a pomp decides it wants an angler’s offering, there’s no doubt about it. Pomps hit very hard on the take—they’re not nibblers—and when they go, they really go. Anglers using live bait usually notice a pomp strike in this way: the rod bends way over, the drag squeals a little, and the line transmits a sharp bump-bump-bump as the pomp runs for open water. Pomps hit a bait at full speed, and then they go faster. Anglers using pompano jigs will find that after they cast as far as they can out toward the open Gulf, they will have best results by letting the heavy little jig fall to the bottom. After a short rest, the jig should be sharply hopped back on the retrieve. The jig needs to rest on the bottom and then pop up off the sandy bottom. This retrieve makes the jig look like some kind of crab that has been disturbed and is searching for a safe place. The pomps usually hit on the fall of the jig. And when they hit a jig, there’s nothing subtle about it. Pomps hit jigs very hard. Whether hooked on a live bait rig or a jig, anglers will want to have the reel’s drag set fairly light. Pomps pull hard, and although they probably won’t break the line, they can pull the hook out if the drag is set too tight. Pompano are so much fun to catch, just pulling a few of them in would be reward enough for most anglers. However, the good news about pompano is that catching is only part of the fun. These fish are delicious! There are all kinds of ways to prepare pomps. Some New Orleans chefs have become famous based on the fancy things they do to pompano. I like things simple. I take my pompano, remove head and guts, and lightly salt and pepper the fish-skin on. If you like a little spice, it’s easy to sprinkle on a little Tony’s for seasoning. Then I wrap the fish with a couple pats of butter in a sheet of aluminum foil, and bake the wrapped package for 20 minutes either on the grill outside or in a 350- degree oven. When the flesh turns white and opaque and the skin pulls easily off the flesh, the fish is done. At this point, anything else—salad, side dishes, a little shrimp dish—can be put on the table. I guarantee that pompano is going to be the most popular thing on the meal. 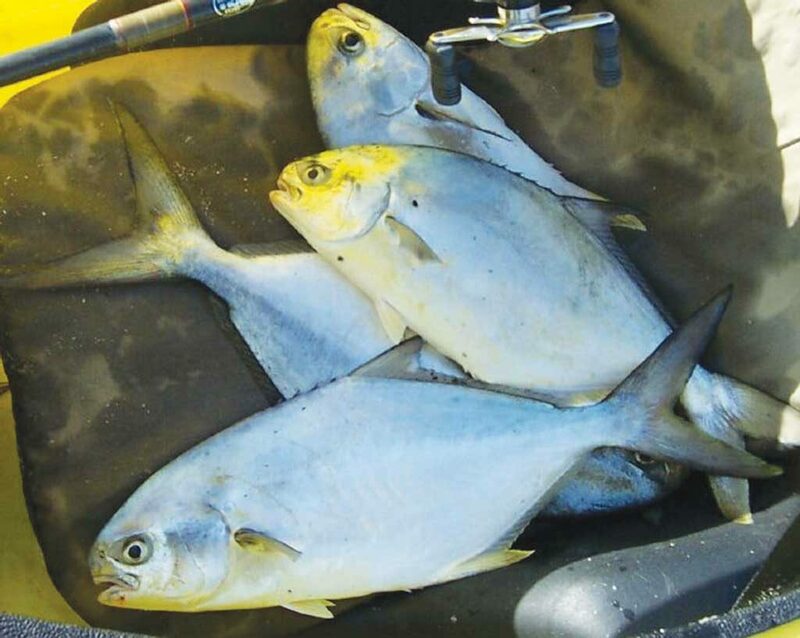 Alabama anglers can keep three pompano per day, and the fish must be 12 inches long.